The Ed Ratcliffe Room at KUF houses the KUF library collection. The Canadian Unitarian Council is the main umbrella organization for Unitarian Universalists in Canada. The CUC also works closely with the Unitarian Universalist Association, the main umbrella organization for the United States. 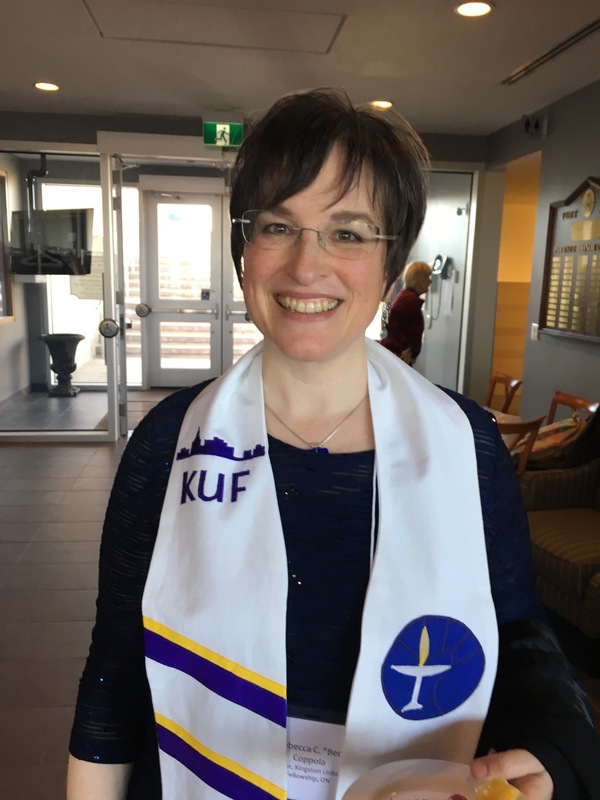 The International Council of Unitarians and Universalists fosters connections between Unitarian and Unitarian Universalist groups around the world. The Unitarian Universalist United Nations Office has a two-fold mission: To engage in the work of the UN to advance a peaceful, just, sustainable and pluralistic world community that promotes human rights. And to engage and inspire Unitarian Universalists and others to support and participate in this work. USC Canada was founded in 1945 as the Unitarian Service Committee of Canada. It’s mission is to promote vibrant family farms, strong rural communities, and healthy ecosystems around the world. Camp Unirondack is a popular retreat in the Adirondacks. Check out the UUA Bookstore for books of interest to Unitarian Universalists. Kingston Unitarian Fellowship page on Facebook. The Ontario Consultants on Religious Tolerance is a diverse, multi-faith group that looks at all aspects of religion. The web site has over 5400 articles on religion. Unitarian Universalist Quotes is a great collection of quotes by Unitarian Universalists. Many of the random quotes appearing on our home page come from this site. The KFL&A Community Resources Database is another resource for finding help in the Kingston, Frontenac, Lennox and Addington area. The KEYS Job Centre is a good place to start if you’re looking for work in Kingston. Environment Canada forecast for Kingston.